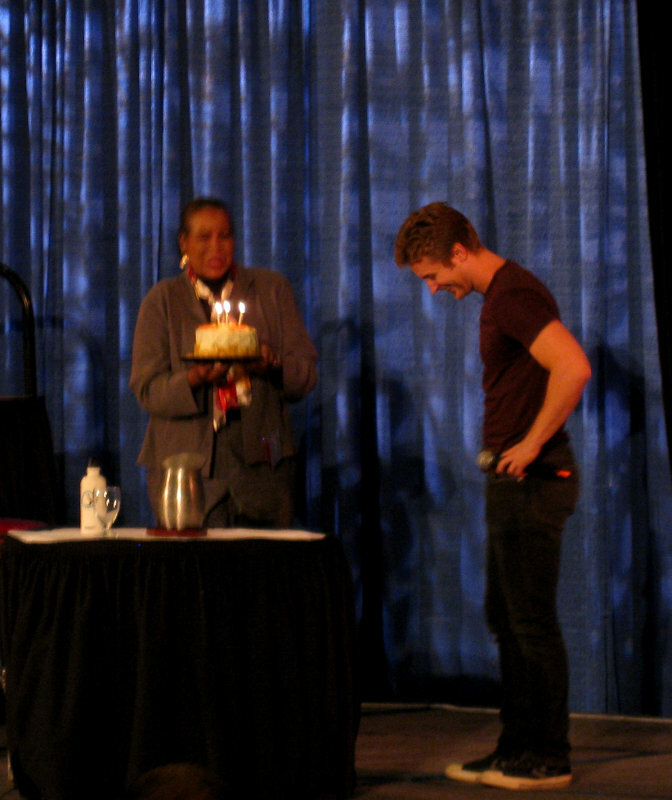 As we were walking down the hall, we looked into one of the conference rooms and saw Michael Welch of Twilight fame getting a birthday cake. He blew out the candles, but he didn't tell us what his wish was. 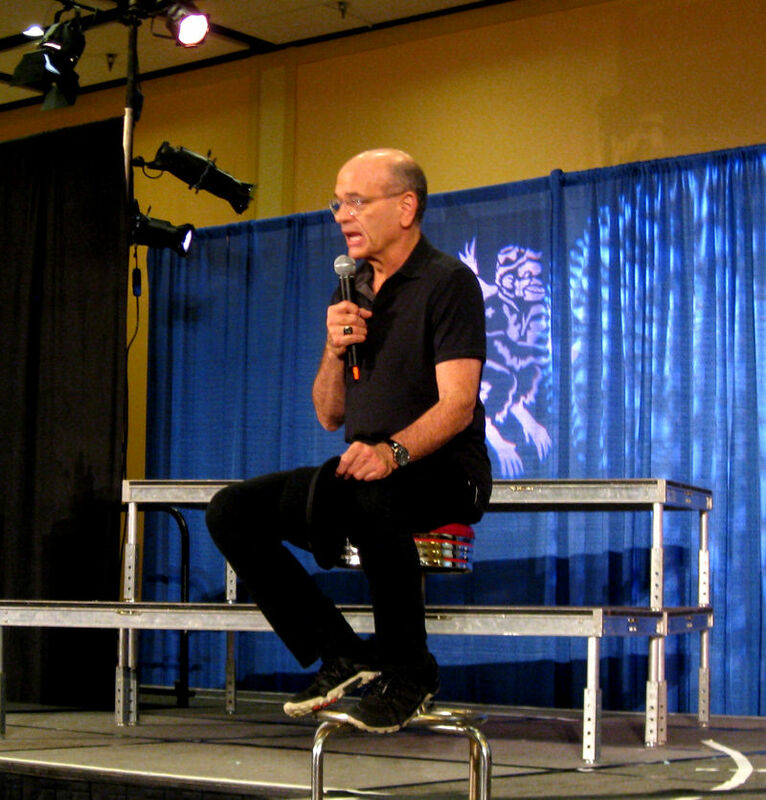 Next up was a talk by Richard Picardo (Stargate, China Beach) on his various roles. 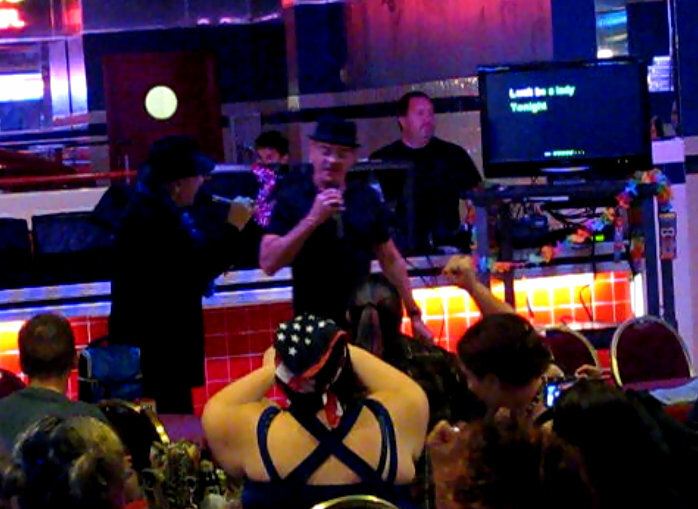 He told a number of interesting and humorous stories, and answered questions on them from the audience. He's quite an interesting fellow. 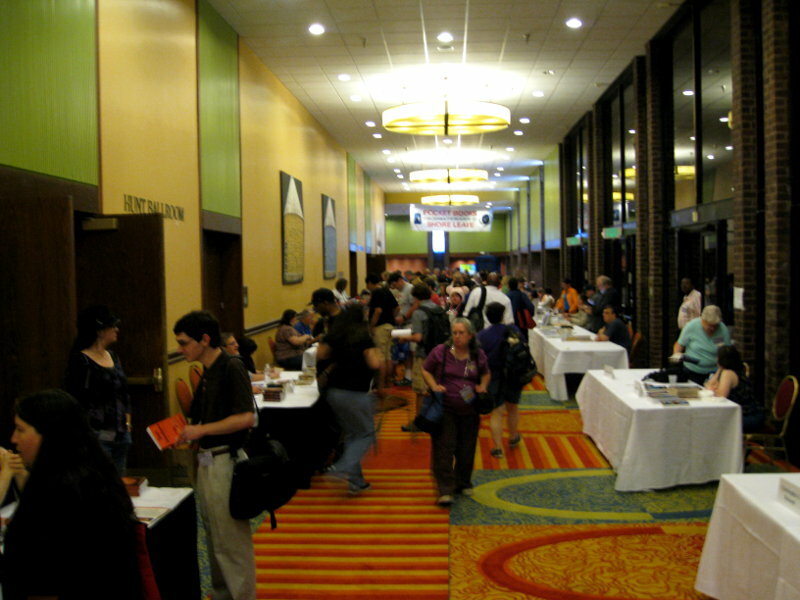 There were a lot of writers, of course, selling and signing books. Much of it was related to Star Trek or Stargate, but fantasy titles were well represented. I startled Michael Jan Friedman (Star Trek novels and fantasy) taking his picture as he was signing a book. He smiled afterward. I guess he's used to this sort of thing. We talked briefly in the hall afterward as he was leaving for the night. He's a funny and interesting man. Now I must get some rest myself, for tomorrow I get to do this all over again!